Or I wasn’t until Genevive Fasbender. She’s the first woman in five years that I want to spend the whole night with. And she’s the first woman who’s told me I’m not what she wants in a lover, even after multiple O’s. She’s brash and bold and stubborn as hell, and she doesn’t believe it’s possible to satisfy her. But I’m up for the challenge. And after an incident in my brother’s office closet―a downright dirty incident―I think I’m just the guy to deliver. Genevive Fasbender will never know what’s coming. BEX REVIEW: Laurelin Paige has this amazing way of writing, where not only does she create addicting characters, but she creates these fantastic world that you just want to exist in forever. I LOVE the atmosphere and surroundings she creates. Chandler took place in the world of Laurelin’s FIXED series, brothers with one of our all time favorite book boyfriends, Hudson Pierce. 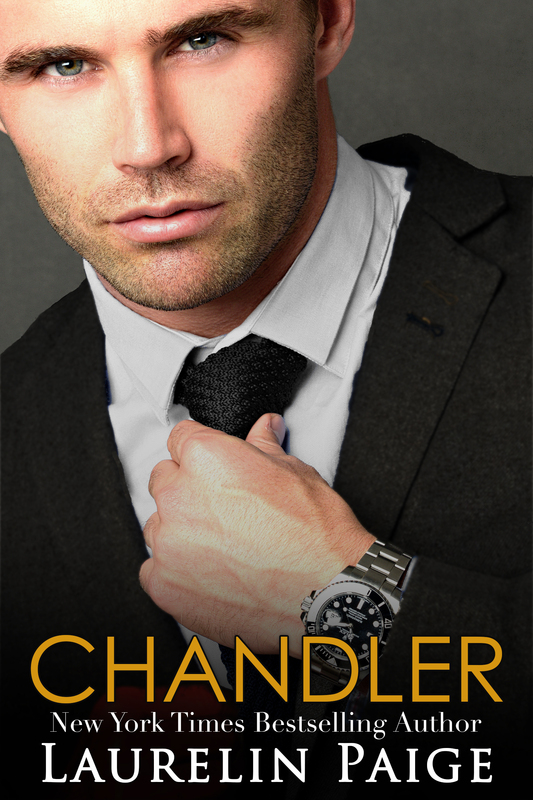 Chandler, for me, took some warming up to, but once I was warmed up I fell for him pretty hard. Genevieve was an awesome heroine, loved her confidence, her sass and her strength. Both characters in this book have a fierceness about them, they’re both used to dominating in life weather it be in the office, or in their relationships, they both have a badass alpha quality to them, and when you put the two of them together things are downright explosive. Check out the musical inspiration for this novel on Spotify.